A big OUT THERE volunteer thank you! 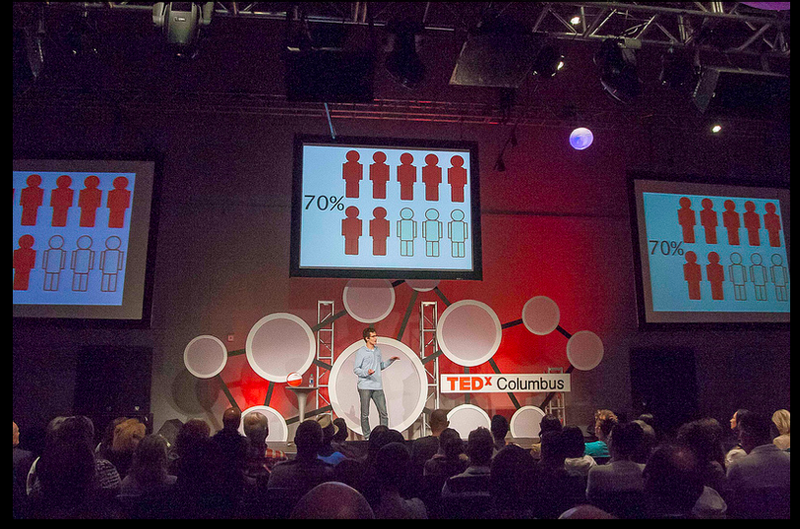 As we close out 2013 TEDxColumbus event, it is imperative that we call out all those that helped make this event possible. Here’s our honor roll! Allyson Kuentz – While she went inside COSI full time this summer, she was still instrumental in being our inside-COSI contact. She should be recognized for helping us in every event from 2009 and getting us to this place. Judi Stillwell – Judi stepped up and took a huge leadership role in helping to choose speakers this year, guiding us through the curatorial process. Her passion for sharing great ideas and igniting inspiring conversation is contagious! David Staley – we chose him in as a speaker in 2010, and he has helped co-host and as a member of the curatorial team for the last 2 years. He balances us out with really provocative questions and a steady, professional demeanor. We need both of those things always! Jen Kerns – Jen stepped in late this summer to take over the back-office operations of ticketing, website updating, sponsor fulfillment, registration and keeping us all calm through the storm. We look forward to keeping Jen involved in the future! We had an amazing team of day-of event volunteers that included (and we hope we haven’t missed anyone!) Steve Post (who also was a huge help writing our speaker profiles- thank you Steve! ), Amy Sharp (our tweeter! ), Jenny Hooie, Susie Fabro, Sheeba Samuel, Morgan Howard, Chet Ridenour, Cari Scott, Karen Jones, Mandy Sadowski, Alan Jazak and more! We can’t forget Cleve Ricksecker, who stepped in for a sick Michael Wilkos to conduct the community conversation (more on that to come!). Then there were the awesome TEDxOhioStateUniversity team who helped Morgan and Chet manage the activities in the upstairs galleries. We are blessed to count them as friends and partners! Lauren Edmond stepped up with a week left to host the livestream of at the McConnell Arts Center. What a gift that was to us to have such a welcoming second host for those that couldn’t come to COSI. Then… there’s our creative team. Truly impeccable this year, again. We truly were honored to have this talent by our side. Joey Zornes and his team from BonFire Red truly kept us in business as our web site went through some up and downs this year. Drue Dixon and Terry Rohrbach from Base Art Co. did their amazing magic with our brand, AGAIN. It is thanks to them we have an amazing design platform on which to build our entire image. Mike Beaumont and his genius team at SpaceJunk Media crushed it again with their remarkable animations for both our promo video and speaker introductions. Bill Liftin, now at Engague, continued to shepard the mobile site even though he’s been through two major changes since his team built it two years ago! And the uber talented photographers at Time Tank Labs who, for the third year, offered the best documentation of our event at COSI. And Megan Leigh Barnard stepped in to flawlessly photograph our speaker reception. We hope we haven’t missed anyone. Please know we are grateful for this community-wide collaboration that makes it all possible. Thank you!